Munchkin Multi Bowls are deep with tall sides - great for holding meals or snacks, and perfect for dipping little fingers into self-feeding territory. With their sturdy, flat bases, these adorable bowls can go from table to high chair and everywhere in between. 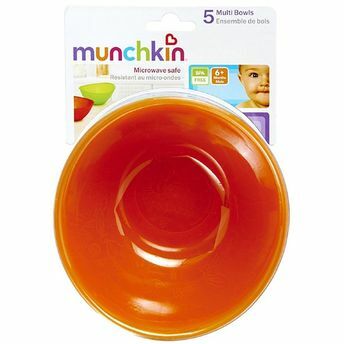 Start building your toddler bowl collection with this convenient five-pack.